Shares in Hargreaves Lansdown PLC EPIC code: LON:HL has stepped down -3.18% or -63 points throughout today’s trading session so far. Sellers were far from a positive bunch while the stock has been in play. Range high for the period so far is 1931.5 dropping as low as 1868. The total volume of shares exchanged so far has reached 366,818 whilst the daily average number of shares exchanged is just 1,113,296. The 52 week high for the share price is 2280 equating to 301 points difference from the previous days close and putting the 52 week low at 1594 is a variance of 385 points. Hargreaves Lansdown PLC now has a 20 moving average of 1919.6 and now the 50 day MA at 1950.45. Market capitalisation for the company is £9,087.95m at the time of this report. The share price is in GBX. Mcap is measured in GBP. This article was written with the last trade for Hargreaves Lansdown PLC being recorded at Wednesday, December 5, 2018 at 12:08:16 PM GMT with the stock price trading at 1916 GBX. 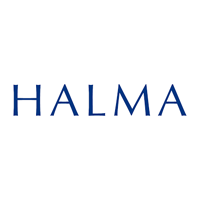 Stock in Halma plc found using EPIC: LON:HLMA has slid -1.31% or -18 points in today’s trading session so far. Market sellers have so far given a mostly negative outlook throughout the session. Range high for the period so far is 1366 while the low for the session was 1342. Volume total for shares traded at this point reached 213,645 whilst the average number of shares exchanged is 1,177,926. The 52 week high price for the shares is 1507.97 about 138.97 points difference from the previous days close and putting the 52 week low at 1136 making a difference of 233 points. Halma plc now has a 20 moving average of 1358.15 and also a 50 day moving average now at 1359.76. The market capitalisation currently stands at £5,129.01m at the time of this report. The share price is in GBX. Mcap is measured in GBP. This article was written with the last trade for Halma plc being recorded at Wednesday, December 5, 2018 at 12:10:07 PM GMT with the stock price trading at 1351 GBX. The trading price for HSBC Holdings plc ticker code: LON:HSBA has dropped -1.72% or -11.6 points during today’s session so far. Market sellers have so far given a mostly negative outlook while the stock has been in play. The high for the period has reached 669.5 dipping to 661.9. The number of shares traded by this point in time totalled 6,385,879 whilst the average number of shares exchanged is 28,613,455. A 52 week high for the stock is 798.6 around 123 points in difference on the previous days close and a 52 week low being 596.4 a difference of some 79.2 points. HSBC Holdings plc now has a 20 moving average of 661.26 with a 50 day MA at 652.71. The market capitalisation currently stands at £133,069.30m at the time of this report. The share price is in GBX. Mcap is measured in GBP. This article was written with the last trade for HSBC Holdings plc being recorded at Wednesday, December 5, 2018 at 12:10:13 PM GMT with the stock price trading at 664 GBX. 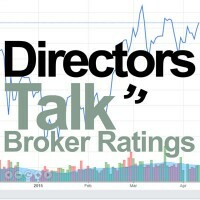 Shares of Informa PLC ticker lookup code: LON:INF has declined -2.07% or -14.4 points during today’s session so far. Sellers were not positive during the trading session. Range high for the period has seen 687.8 meanwhile the session low reached 678.2. The total volume of shares exchanged so far has reached 573,875 with the daily average traded share volume around 4,205,156. A 52 week share price high is 869.6 amounting to 175.6 points difference from the previous close and the 52 week low at 657.4 making a difference of 36.6 points. Informa PLC now has a 20 SMA at 726.32 with a 50 day moving average now at 732.86. The market capitalisation currently stands at £8,686.29m at the time of this report. The currency for this stock is Great British pence.Market cap is measured in GBP. This article was written with the last trade for Informa PLC being recorded at Wednesday, December 5, 2018 at 12:09:11 PM GMT with the stock price trading at 679.6 GBX. 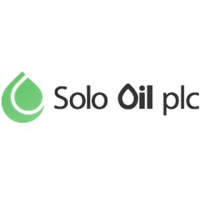 Shares of Rio Tinto plc with EPIC code: LON:RIO has decreased -1.69% or -63 points during today’s session so far. Investors were not positive during the trading session. The periods high has already touched 3698 dipping to 3649.5. The amount of shares exchanged has so far reached 818,535 with the daily average traded share volume around 4,928,013. The 52 week high for the share price is 4541 which comes in at 815.5 points in difference to the previous days close of business and a 52 week low sitting at 3399 a difference of some 326.5 points. Rio Tinto plc now has a 20 SMA of 3821.6 and now its 50 day moving average of 3821.9. This puts the market capitalisation now at £62,825.61m at the time of this report. All share prices mentioned for this stock are traded in GBX. Mcap is measured in GBP. This article was written with the last trade for Rio Tinto plc being recorded at Wednesday, December 5, 2018 at 12:10:07 PM GMT with the stock price trading at 3662.5 GBX. The stock price for Royal Dutch Shell Plc found using EPIC: LON:RDSA has stepped down -2.03% or -49 points throughout today’s trading session so far. Investors have so far given a mostly negative outlook during this period. The high for the period has peaked at 2397.5 and hitting a low of 2363. The total volume of shares exchanged so far has reached 1,815,971 with the daily average number around 12,872,785. The 52 week high price for the shares is 2755 which is 339 points difference from the previous close and the 52 week low at 2168.5 making a difference of 247.5 points. Royal Dutch Shell Plc now has a 20 moving average of 2414.9 and now a 50 day moving average of 2492.97. Market capitalisation for the company is £225,126.26m at the time of this report. Share price is traded in GBX. Mcap is measured in GBP. This article was written with the last trade for Royal Dutch Shell Plc being recorded at Wednesday, December 5, 2018 at 12:09:55 PM GMT with the stock price trading at 2367 GBX. Click HL HLMA HSBA INF RDSA RIO for the full archive.